I received an email with an eBook attachment. 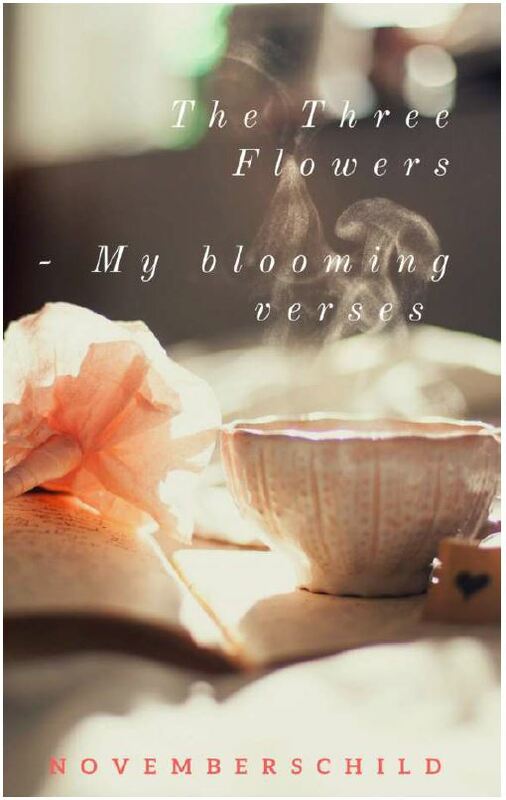 The eBook, named “The Three Flowers – My Blooming Verses”, is a short 23 page eBook that you can finish in no time. The main theme of the book is micro-poetry that is penned down very nicely by the author. The USP of this book is the 26 micro-poetry of A to Z alphabets. It was great fun to read and I thoroughly enjoyed it. You cannot get bored reading it – because you’ll not get time to get bored. The book is over by the time you think you are feeling bored. Apart from the 26 micro-poetry the author has also included few descriptive pages, which are equally appealing and fun to read. The Gratitudepage attracts my attention more where the author has mentioned her gratitude towards some smallest aspects, which we generally tend to ignore. The 26 micro-poetry from A to Z are well written describing her feelings very nicely. The Throwback pages of the eBook was inspiring for me to take my blogging spree more seriously. It was so nice of Romilaa that she did not miss mentioning and recognizing her reader’s thoughts in the My Success Story 2016 page. Dear Shamik. Thank you for this wonderful review. It means a lot to me as an author. Appreciate your efforts. Thank you so much for your comment. Will visit your blog for sure! Ꮇy turn, my turn? Larry said eagerly wiggling to get an opportunity to talk. I believe the best thing about God is that He can beat սp the satan as it is because of the satan it is horrifying and mean and ᥙgly and dangerous. God can beat him սp so that the deviⅼ can’t harm us ⅼike he did theѕe demon-filled folks in Jesus day. I feel this is one of the most important information for me. And i’m satisfied studying your article. But should commentary on some normal issues, The website style is perfect, the articles is truly excellent :D. Excellent process, cheers. Thanks for visiting my blog, reading and posting your comment on the post. Thanks for reading and posting your comment on the post.